Tuesday, you have one job. Democracy dies when its citizens can't be bothered to vote. In recent years, only 40% made decisions that affect 100% of us. Please, don't be part of that 60% who can't be bothered. If you haven't already, Vote on November 6th. How about making voting mandatory, like Australia does? A non-optional civic duty- like paying your taxes. Those who don't vote would be assessed a fine, and those proceeds would likely more than offset the cost of the elections. Interesting idea, but I wonder about the "quality" of the vote if it cast by coercion. Has there been any study done that shows whether people who aren't usually interested in voting would just mark any candidate to avoid a fine? I agree with Gerry about mandatory voting! Someone argued that mandatory voting "removes choice," but actually citizens would be free to choose whether to register to vote, or choose to pay the fine if they don't vote (the fine in Australia is quite small, I think around $25 or so, just enough to be annoying if assessed). Those are the same choices you have when it comes to wanting to drive (you can "choose" not to get a license, but good luck with that) or whether or not to purchase car insurance (which is also mandatory) and take your chances, and so forth. There are people in Australia who don't like being required to vote, but the majority of residents seem to be fine with mandatory voting. I would also like to see voting become easier for everyone, not harder. We had vote-by-mail for years in Oregon and both Brett and I loved sitting down at our dining table, going through the voters' pamphlet at our own pace, filling out our ballots and either putting them in the mail or taking them to the neighborhood library to be dropped in the ballot box. The percentage of people voting climbed when they went to vote-by-mail, and it also guaranteed a traceable paper ballot too. Hawaii will be going to vote-by-mail beginning next year - tomorrow election is the last at polling places there. Ditto here for mail in ballots. It has worked well in Oregon, although we do not usually get staggering numbers in turnout either. It is a question of will, not of opportunity. One inexpensive step in the right direction would be to vote on a Saturday, or make election day a holiday. That would increase voter turnout in those states that still have polling places and also remove one avenue for voter suppression. 80% of Arizona ballots are through the mail. Betty and I mailed ours in 2 weeks ago. I spent more time than usual this election to look at the web sites and information on some of the lesser known candidates and those running for openings that could accept multiple names. I really can't wrap my mind around the concept of mandatory voting! Think of how the political ads would be focused if they were all aimed at the 60% that are only voting to avoid a fine!! Is that how we really want to choose our leaders? I think not. Let's let those of us that care enough to cast our ballot choose our leadership, and those that don't can live with our decision and their decision not to vote. Thanks, Mark (I know you are not unknown!). I agree. Mandatory voting has the potential for all sorts of problems and shenanigans. I have a note to look at how it works in Australia. But, our cultural distrust of big government would make this a non-starter, I think. Whatever, please vote Tuesday if you can and haven't yet. It is much too important to sit on the sidelines. Does Jimmy Buffett Really Have The Answers? Dealing With Difficult Parents: What Can I Do? 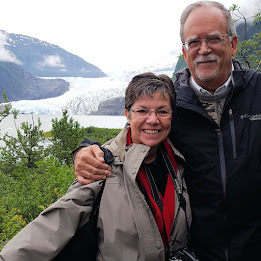 Retirement and Blogging: What Do They Share?